Hi, hope you're having a good Tuesday. It's snowing here today, big giant flakes! It had rained and all the Christmas snow was gone, but now the ground is covered again! I used the sketch at Just Us Girls Challenge # 65. The papers are from S.E.I., Winter Song. The stamp is from Rubber Cottage, Medina, Ohio. I stamped the image with onyx black Versafine ink and embossed with clear embossing powder on textured white card stock. I colored with Copic Markers. Stamped snowflakes with frayed burlap distress ink, stamps Martha Stewart. Punched snowflakes with rhinestone centers. 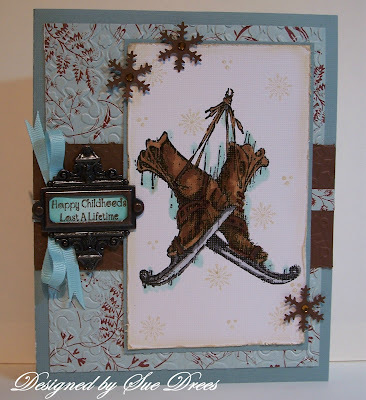 Brown card stock is run through snowflake embossing folder. Tim Holtz frame. what a wonderful card with a great nostalgic feel! hi Sue, waht a gorgeous creation love the embossing, and the blue and brown is awesome! 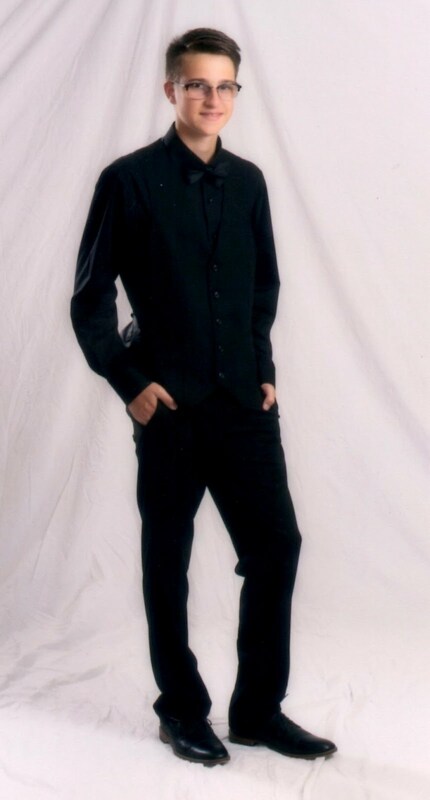 STUN-ING!!! Love the vintage skate image dripping with wintry goodness!!! Absolutely gorgeous card!!! Lovely take on the sketch! Thanks so much for playing along with Just Us Girls! Hope you'll join us again next week! this is a great card sue. Thanks for getting sketchy with JUGS this week! This is fabulous Sue!! Fabulous job. I love your card! And everything about it! The details are beautiful (the heat embossing, the stamped snowflakes to occupy the empty space, the frayed edge) and I totally think the Tim Holtz frame holds it all together without distracting from the card! Beautiful! This card is nostalgic, vintage & gorgeous! I love those colors! Another wonderful job.